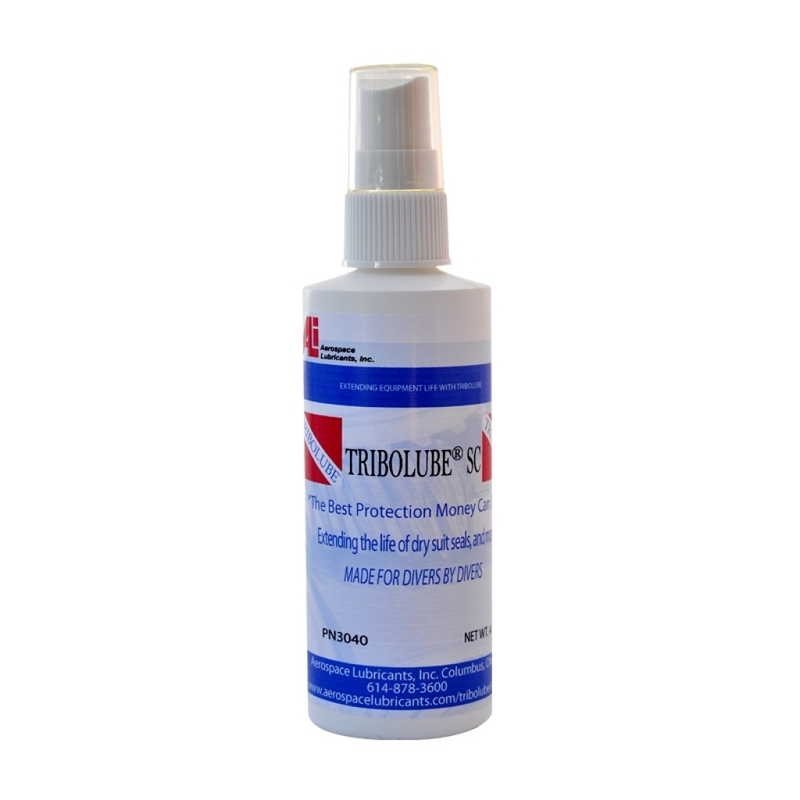 TRIBOLUBE®SC is suitable for use on the internal and external surfaces of dry suit seals, rubber products, neoprene, polyurethane, latex, and all plastic materials. Extend the life of your equipment. Stop oxidation, deterioration, and corrosion caused by exposure to salt water. TRIBOLUBE®SC is ideal for dry suit seals, wet suits, spear guns, gloves, zippers, masks, fins, and much more. Get into your wet suit in seconds not minutes. Spray a small amount of TRIBOLUBE®SC to the inside of your wet suit, and eliminate the hassle of stretching, pulling, and straining to suit up. For best results thoroughly clean all surfaces prior to treatment. Follow all manufacturers cleaning instructions. Apply enough to completely cover the entire area. Allow 7-15 minutes, and then remove any excess with a clean dry cloth. Re-apply TRIBOLUBE®SC as needed. During treatment avoid any area that is part of EANx (Nitrox) or breathing gas supply certified with 30 % to 100% oxygen content.